Cordwainers is inspired by a timeless legacy of fine craftsmanship. Every Cordwainers creation revels in the idea of excellence that nourishes creativity. Our prestigious lineage bestows its insignia upon every pair worthy of Cordwainers embossment. We truly believe that no innovation can exist without a profound knowledge of tradition. At the same time, we know that the sense of limit that springs from this awareness gives the freedom of thinking of how to trespass it. This, in synthesis, is the Cordwainers approach to modern-yet-timeless designs. A rich tradition, narrated through our emblem, personal yet unanimous, of a story that has been centuries in the making and at the same time, is yet to be written. The title ‘cordwainer’ dates back to the medieval period, when shoemaking was a pure handicraft. An anglicisation of the French word cordonnier, it derives from the city of Cordoba in southern Spain—famous for the production of cordovan leather, also known as ‘cordwain’ in England. Cordwain was originally made from the skin of the Musoli goat, produced by a method supposedly known only to the Moors. The leather grew and grew in popularity until it became the most sought-after shoe material across Europe. Right from the concept stage to the CAD model to the physical prototype making, our products are meticulously crafted for excellence. Hand-made using finest leather, they evoke opulence in terms of its quality & craftsmanship. The classic designs, rigorous material selection, uncompromised quality & unique competence make the Cordwainers a perfect companion for those who love to mark their imperial impression on the world. Cordwainers has a long-standing history of providing exceptional quality leather products. 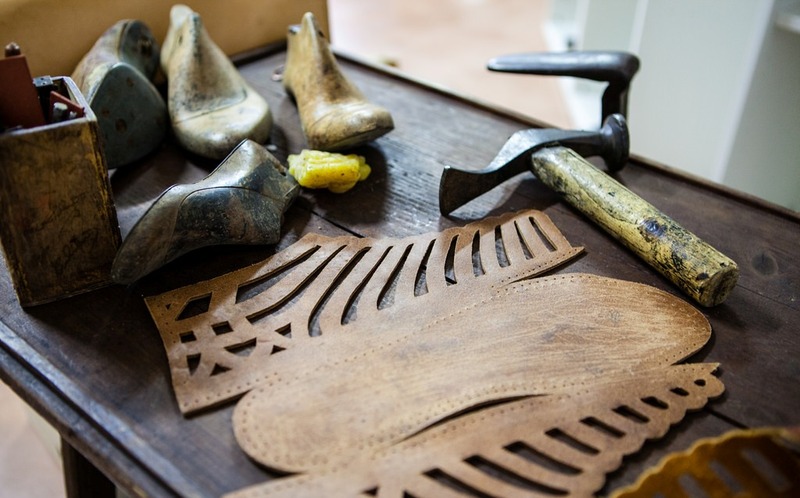 At Cordwainers, we are passionate about the quality of the products we manufacture. And this passion & commitment towards quality makes our products distinct from others. Our team of enthusiastic shoe-makers works on each and every article very carefully to achieve the excellence of craftsmanship and make the products stand as the finest expressions of luxury. We are known to deliver the best and to maintain the level of reputation we hold, we have opted very strict guidelines and parameters for every article that undergoes for manufacturing. Starting from the cutting of upper to machining to lasting operation & finally till finishing, our products are quality-checked at every step. A zero-defect manufacturing process is followed to ensure that only best products reach in hands of our valued customers.